Here are some resources for you to use in your quest to live a well-rounded life. I'll be adding more in the coming weeks. Stay tuned for race reports, tips and tricks to use in your training and general articles to keep you fit for life! Swim Bike Run Taking the leap. 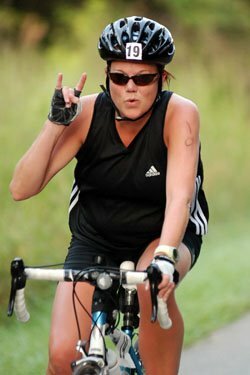 The event that started it all: the SheRox Tri in Charlotte 2008. Puppies & Panic [or Tails and Tales] of my first open water group swim. SheRox 2008 On Sunday, September 14, 2008, I finished my first sprint Triathlon in Charlotte. I can't believe it's over! 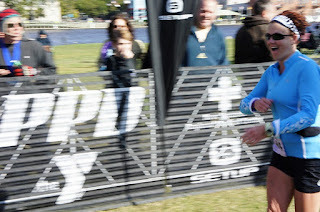 Months of training paid off and I finished faster than I projected in each leg of the race. My total time was 2:04:36. BEST DAY EVER Here is the race report for my first half-iron race: I did it! I did a half iron distance triathlon! And, I danced across the finish line! Every year people make New Year's resolutions in an attempt to better themselves. But how many of us are actually able to stick with it? For lasting change, we need to turn to the one who created us---the one knows how to unlock our potential. 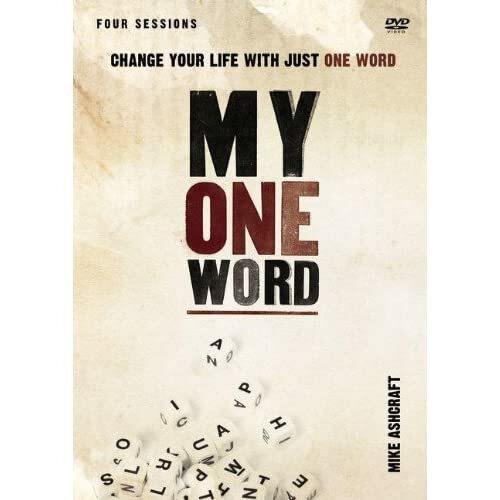 In this four-session video-based small group study, you will choose one thing---one word---to focus on for an entire year to enact lasting change. By picking one word---a word to represent what you hope he can transform---and focusing with the strength and clarity of your convictions, you will see lasting, sustainable growth through his power over the course of one year. My One Word provides a simple, effective tool for creating personal change at the heart level. Unlock the power of choosing one word to change your life. A LIFE WITHOUT LIMITS by Chrissie Wellington In 2007, Chrissie Wellington shocked the triathlon world by winning the Ironman World Championships in Hawaii. As a newcomer and a complete unknown to the press, Chrissie's win shook up the sport. A Life without Limits is the story of her rise to the top, a journey that has taken her around the world, from a childhood in England, to the mountains of Nepal, to the oceans of New Zealand, to the trails of Argentina, and finally, across the finish line. Wellington's first-hand, inspiring story includes all the incredible challenges she has faced - from anorexia, to near-drowning, to training with a controversial coach. But to Wellington, the drama of the sport also presents an opportunity to improve people's lives. You’re One Step Away from the Adventure of Your Life! John Ortberg invites you to consider the incredible potential that awaits you outside your comfort zone. Out on the risky waters of faith, Jesus is waiting to meet you in ways that will change you forever, deepening your character and your trust in God. The experience is terrifying. It’s thrilling beyond belief. It’s everything you’d expect of someone worthy to be called Lord. The choice is yours to know him as only a water-walker can, aligning yourself with God’s purpose for your life in the process. There’s just one requirement: If You Want to Walk on Water, You’ve Got to Get Out of the Boat. For forty years, Dean Smith coached the University of North Carolina basketball team with unsurpassed success. Now, in The Carolina Way, he explains his coaching philosophy and shows readers how to apply it to the leadership and team-building challenges they face in their own lives. In his wry, sensible, wise way, Coach Smith takes us through every aspect of his program, illustrating his insights with vivid stories. Accompanying each of Coach Smith’s major points is a “Player Perspective” from a former North Carolina basketball star and an in-depth “Business Perspective” from Gerald D. Bell, a world-renowned leadership consultant and a professor at UNC’s Kenan-Flagler Business School. The keystones of Coach Smith’s coaching philosophy are widely applicable and centrally relevant to building successful teams of any kind.